Streamer (1997: Golan Levin and Scott Snibbe) began as an attempt to design a virtual "kite". I chose to represent the long string of a kite as a graphical line emitted by the cursor, as in a traditional drawing program, but which is also progressively smoothed at every frame of animation, according to a naive simulation of kite-string physics. In the course of developing this simulation, I accidentally introduced a sign error, and the progressive smoothing I had intended became a skyrocketing amplification instead. 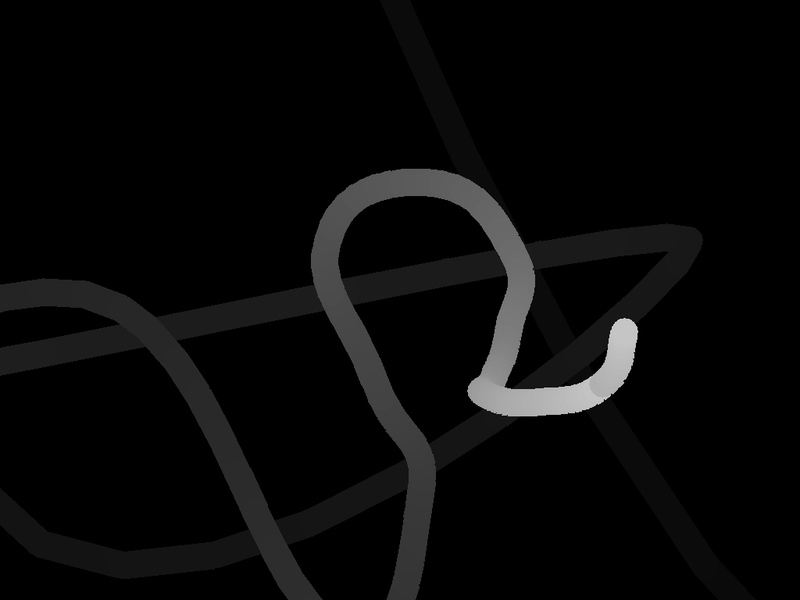 The positive feedback of this process results in a rapid exaggeration of the user's gesture, with the mark's trail overlapping itself and quickly flying away in all directions. Even the tiniest wiggles in the user's gesture are magnified to the entire breadth of the screen within fraction of a second. The effect is an intoxicatingly responsive chaos, similar to the experience of driving too fast. 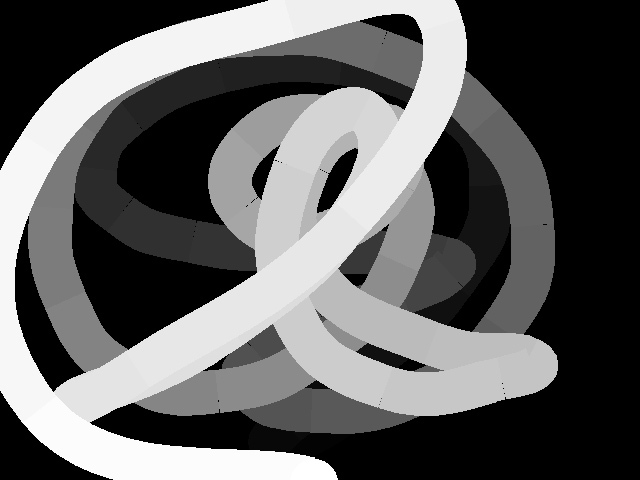 Streamer can be experienced in this interactive Java applet. Images of Streamer are available in this Flickr photoset. Snibbe, S. and Levin, G. "Instruments for Dynamic Abstraction." Proceedings of the First Annual Conference on Non-Photorealistic Animation and Rendering, Annecy, France, June, 2000.